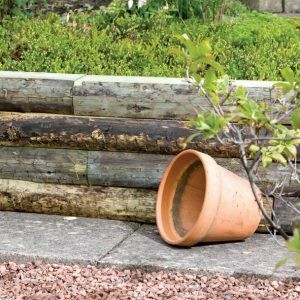 Railway sleepers are ideal materials for your landscaping and garden projects. The design can enhance or help you raise structures or design your garden. Sheds to Last are the leading suppliers/experts when it comes to making use of sleepers. 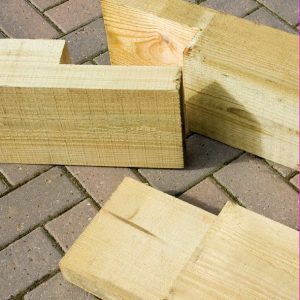 We have a range of sleepers made from pressure treated timber. The quality of the railway sleeper you pick is determined by the materials in use. Using high quality sleepers from us translates into durability and long term usability. Using railway sleepers in your garden offers you limitless options. At Sheds to Last, we will assist you to design and execute numerous applications using our sleepers. You can use them to raise flowerbeds in a creative manner. New and old sleepers can accentuate the look into your garden, and railway sleepers can be used as fences. Vertical or horizontal sleeper designs will cordon off parts of your garden and give you an interesting facade. Also, you can use sleepers to map garden paths. They can be used as stepping blocks with pebble infill to create a stunning walkway. If you are looking forward to a tantalising railway sleeper theme in your garden, contact Sheds to Last. Check our website and see the many sleeper landscape ideas you can assimilate and make over your garden. At Sheds to Last, we offer railway sleepers cut out of the best wood. We pressure treat the wood to make it weather resistant and durable. You don’t have to worry about rot or decay, our sleepers will last long even when exposed to damp soil or harsh weather.